What is the structure of the civil court system? The Brazilian civil court system is divided according to the subject matter of the dispute and, within the different jurisdictions, by hierarchy. Matters that concern the federal government are allocated to either federal courts or to specialised courts (Labour, Electoral and Military), depending on the subject of the claim. State courts adjudicate residual matters (ie, all other claims that are not subject to the jurisdiction of the aforementioned federal courts). Moreover, when presenting small-value claims (ie, less than the equivalent of 40 times the value of the federal minimum wage), the plaintiff may choose to try the case before a Special Civil Lower Court (JEC) through a simpler and cheaper procedural framework. Proceedings originate, in general, in lower courts that are occupied by a single judge in charge of rendering the first decision on cases presented before him or her. An unsatisfied party has the option to appeal a decision rendered by a lower court to a chamber of the relevant state tribunal or federal tribunal, which will be composed of a group of justices. From a decision rendered by a chamber, a party will be able to appeal to the Superior Court of Justice (STJ), which is formed by 33 justices, as long as the appeal is intended to discuss the interpretation of a federal law (and, thus, not intended to re-examine facts and evidence). A party may also appeal to the Supreme Federal Court (STF), which is formed by 11 justices, when the decision rendered (either by a chamber or by the STJ) against it arguably directly violates the Federal Constitution. What is the role of the judge and the jury in civil proceedings? In the Brazilian legal system, the judge organises and conducts the proceedings and decides the merits of cases based on the evidence and the submissions in the case files. Judges are barred from deciding cases based on equity (except when expressly provided otherwise in special legislation). However, judges have wide discretion to attribute different values to each piece of evidence and each allegation. As the addressee of the evidence presented in court, the judge may ask parties to address specific issues and to produce evidence with regards to specific points of controversy. Juries are not formed for civil proceedings. What are the time limits for bringing civil claims? There are multiple time limits for bringing civil claims in Brazil. These are mostly laid out in article 206 of the Brazilian Civil Code. If the law does not specify what statutory period is applicable to a certain case, the statutory limit for bringing a claim will be 10 years. Moreover, the statutory limit may be interrupted or suspended in certain situations, as laid out in articles 197 to 201 of the Brazilian Civil Code. The interruption of a statutory limit means the time passed will be disregarded and the term will start running once more with respect to a specific claim or right. However, the suspension only stops the counting of time. Statutory limits cannot be altered by litigants in a proceeding since they are deemed a matter of public policy. It is worth highlighting that the STJ recently ruled that the statutory limit of three years shall be applicable for the filing of claims on the grounds of contractual liability. This precedent may be an indication of future changes in the case law of the court since, until this moment, it had repeatedly applied the default limitation of 10 years in these circumstances. Are there any pre-action considerations the parties should take into account? In general, there are no necessary measures a party must take prior to filing a lawsuit. Nonetheless, parties often choose to notify counter­parties before presenting a claim in court, either to propose an amicable solution or to expose its motivations in regard to a given subject and start building their cases. How are civil proceedings commenced? How and when are the parties to the proceedings notified of their commencement? Do the courts have the capacity to handle their caseload? Civil proceedings commence upon the filing of a complaint. Once the court has certified the complaint as satisfying the basic requirements established by law, the defendant will be served with process (either by a court clerk or mail). Courts receive an extensive number of new cases each year and the Brazilian judiciary is historically overwhelmed by its caseload, which inevitably hinders the effectiveness of justice. The recently enacted Brazilian Code of Civil Procedure has provided for three new mechanisms in order to ease capacity issues. First, the abovementioned Code has provided for a conciliation and mediation hearing prior to litigation before a court. In this hearing, parties shall seek an amicable solution that can hopefully lead to the settlement and withdrawal of the lawsuit. This hearing is established as default for all newly filed civil lawsuits and will not occur only if both parties expressly state their lack of interest in said procedure. Second, the Code establishes the possibility of the parties, the court or the Public Prosecutor’s Office to request a particular case to be tried as a leading case to similar lawsuits. The judgment rendered in these leading cases will subsequently be applied to solve lawsuits that involve claims around the same legal issues, preventing unnecessary repetitive judgments. Such a method contributes to greater speediness in rendering decisions in the higher courts. This change increases the importance of legal precedents and their effects in the Brazilian legal system. In this regard, article 489 of the Brazilian Code of Civil Procedure states that all judicial decisions should acknowledge legal precedents brought by the parties and that, to depart from those precedents, the court must distinguish the case at hand from those that formed the precedent. What is the typical procedure and timetable for a civil claim? The typical procedure begins with a complaint being filed by the plaintiff. Once the court has certified that the complaint contains all its indispensable elements, it will then serve the defendant to attend a conciliation and mediation hearing as an attempt to favour an amicable solution between the litigants. If no agreement is reached in said hearing, the defendant will then file a defence. The hearing will not occur if one of the parties states their lack of interest in a settlement. In this case, the defendant will be served directly to file its defence. If the defendant raises any preliminary issues (eg, lack of standing to sue, lack of interest to sue) the plaintiff may, within 15 days, submit a reply. If at this stage of the proceedings the court deems to have sufficient evidence to adjudicate the case, it may anticipate its final decision on the merits. Otherwise, the court may allow the parties to produce further evidence. After the litigants have presented their case and the totality of evidence available to them, the court may grant them the chance to submit their closing arguments before issuing a final decision. Finally, the court will analyse the grounds of action and accept or reject, fully or partially, the claims put forth by the parties. Essential elements of a final decision on the merits are the report, the reasons for the decision given and the orders of the court. Any party fully or partially unsatisfied with the judgment will be able to ask for clarification from the court and to appeal to higher courts (see question 20). Can the parties control the procedure and the timetable? As of March 2016, the Brazilian Code of Civil Procedure allows litigants to control the procedure and timetable of civil claims to a certain extent. As governed by article 190, when the lawsuit deals with waivable rights, parties can stipulate changes to the procedure to better fit their specific circumstances. This means they can agree upon some of their powers and obligations before and during the proceeding, as well as the fact that in some cases it is possible for the court and the parties to establish a particular procedural timetable. Procedural arrangements are nevertheless subject to validity controls from the court and may be voided or altered to ensure the equality of the parties and due process. Is there a duty to preserve documents and other evidence pending trial? Must parties share relevant documents (including those unhelpful to their case)? There is no rule in Brazilian civil procedure expressly establishing a duty to preserve evidence. Nevertheless, article 5 of the Brazilian Code of Civil Procedure imposes on all parties a duty to act in good faith. If any piece of evidence is fundamental to a certain procedure, a corollary duty of preserving such evidence stems from the duty to act in good faith. In addition, article 1.194 of the Brazilian Civil Code requires a business to keep all records, correspondence and other documents relevant to its activity until the statutory limit for its acts has passed. On the other hand, there is no wide-ranging discovery of evidence in Brazilian civil procedure as admitted in other jurisdictions. A request for disclosure of evidence held by the other party is made possible as per article 396 of the Brazilian Code of Civil Procedure, although this is scarcely used owing to the specificity of its requirements. To request the disclosure of a document in possession of the other party, the requesting party shall individualise the evidence, indicating its finality and the circumstances that lead to the conclusion that the opposing party is in possession of such evidence. The disclosure mechanism in Brazilian Civil Procedure is also weakened by the allocation of burden of proof. The party that has been requested to disclose may allege not being in possession of the requested evidence. In these situations, the burden of proof will lie with the requesting party, which will then have to prove that the opposing party has the document; a rather difficult task. the contents of the document are common to both parties. Are any documents privileged? Would advice from an in-house lawyer (whether local or foreign) also be privileged? Brazilian law provides for attorney-client privilege. Communications between the attorney and the client are presumed to be confidential. Attorneys who act as in-house counsel are also protected by attorney-client privilege when providing legal advice. The attorney’s workplace, work tools and correspondence are protected from scrutiny if related to their activities as counsel. Exceptions to privileges may be ordered by the courts after proper assessment on a case-by-case basis. To break privilege, a party may submit a justified request to the court demonstrating that the disclosure of privileged documents is a matter of public interest or a matter that will benefit the party protected by the privilege. Do parties exchange written evidence from witnesses and experts prior to trial? There is no exchange of evidence prior to the trial. Documentary evidence shall be presented alongside the plaintiff’s complaint or the defendants’ defence as per article 434 of the Brazilian Code of Civil Procedure. New evidence may be presented if destined to prove facts or allegations that have been made after the first round of submissions and also upon request from the court. How is evidence presented at trial? Do witnesses and experts give oral evidence? Evidence can be presented through oral testimony, documents or other materials. The court decides upon the evaluation of all evidence and submissions of the parties in the case files. Parties may request a court-appointed expert to assess controversial technical issues and inform the judge of the conclusions through a written technical report. The court may grant such a request as well as demand the production of an expert report for its own reasons. Witness statements shall be given orally at a hearing and before the judge. The representatives of each party may also be called upon by the opposing party to be heard by the court. A hearing for evidence and trial will be designated when oral evidence is requested or when an expert is called to provide clarifications regarding their written report. What interim remedies are available? The Brazilian Code of Civil Procedure provides for a wide range of interim measures available to the parties. A party may request the freezing of assets, halting of specific actions, annulments of deliberations and search orders, among other remedies. Courts may grant interim measures upon the fulfilment of two well-known legal requisites: the likelihood to succeed on the merits of the issue, and the risk of great or irreparable harm. What substantive remedies are available? A party may present a wide range of requests under Brazilian law. As long as the claim is lawful, possible and necessary, a request may be made for its satisfaction. A substantive claim may be made for declaratory, condemnatory or constitutive relief. Any decision awarding money as compensation for damages in Brazilian courts will be increased with interest and monetary restatement in the rates established in the applicable legislation or in the contractual rules established by the parties. Punitive damages are not available in Brazil as commonly applied in other jurisdictions. Brazilian courts have developed an understanding that damages can be increased to fulfil the educational and punitive quality when the aggrieving party is found to be repeating harmful conduct. Nevertheless, no damages are awarded under an entirely punitive label. What means of enforcement are available? The Brazilian Code of Civil Procedure establishes several methods to enforce court orders through direct action or negative incentives. the direct seizure of assets or receivables from a debtor. A common tool for the court to coerce the debtor in case it fails to adopt a conduct that has been ordered is to determine a cash penalty for disobedience, which may be increased or repeated with time. Furthermore, article 139, IV of the Brazilian Code of Civil Procedure grants the court broad coercive powers to guarantee compliance with judicial orders. The requesting party is thus not constrained by specific formats of measures for enforcement, being able to plead for any measure it sees fit, which shall be analysed by the court in light of the principles of proportionality and reasonableness. Are court hearings held in public? Are court documents available to the public? As a general rule, court hearings and court documents are open to the public. Nevertheless, some lawsuits can be granted restrictions to their contents upon a request addressed to the court as a means to preserve one’s rights to privacy. Does the court have power to order costs? The plaintiff has to pay a certain amount (usually a percentage over the total economic value of its claim) upon the filing of the lawsuit as an initial fee to the court. Defendants are not required to pay fees for the filing of the defence. Upon the decision of the merits, the court will allocate the costs of the procedure. Under Brazilian law, the losing party will bear the costs in the proportion of its loss. Additionally, the attorneys of the prevailing party in court litigation are entitled to receive a minimum of 10 per cent and a maximum of 20 per cent over the total economic value of the claim from the losing party. Are ‘no win, no fee’ agreements, or other types of contingency or conditional fee arrangements between lawyers and their clients, available to parties? May parties bring proceedings using third-party funding? If so, may the third party take a share of any proceeds of the claim? May a party to litigation share its risk with a third party? Success-based fee arrangements are not only possible but relatively common in litigation in Brazil. Lawyers and clients are free to agree on details of services contracts provided that success-based fees do not surpass the benefits received by the client and are fixed with moderation, as per the Code of Ethics of the Brazilian Bar Association. Case law of the STJ suggests an objective limit of 30 per cent of the value attained by the client for success-based fees. Third-party funding is available and allowed within the Brazilian civil court system. These arrangements, however, do not alter a party’s standing to sue, as per the rule of article 109 of the Brazilian Code of Civil Procedure. The terms and conditions of funding and risk-sharing agreements are not currently subject to specific restrictions (only generally applicable contractual restrictions). The Brazilian legal system provides for gratuity of legal action in circumstances of proven need, which is why the use of these tools is still relatively rare in Brazil, at least for smaller claims. Is insurance available to cover all or part of a party’s legal costs? Insurance is available to the parties to cover their legal costs. There are no specific restrictions to this practice. May litigants with similar claims bring a form of collective redress? In what circumstances is this permitted? There is no procedure in Brazil for class action lawsuits, where multiple persons maintain their individual standing to sue while collectively requesting redress. Collective redress can be obtained within the Brazilian legal system through procedural substitutions; that is, multiple individuals with common characteristics may be represented by a single public entity (such as the Public Prosecutor’s Office) or private body (eg, unions and class associations). On what grounds and in what circumstances can the parties appeal? Is there a right of further appeal? Parties are free to appeal if they are not satisfied with the entirety or with part of a final judgment rendered by the lower courts. Most interlocutory decisions can be reversed by an interlocutory appeal before a final judgment on the merits. Interlocutory decisions that are not subject to an interlocutory appeal will be subject to a regular appeal after the final judgment. In an appeal, facts and evidence presented by the litigants will be re-examined by a chamber, where a group of justices will either reverse or maintain the judgment that was previously rendered. Moreover, there is also a right of further appeal if the party feels the decision violates federal law, in which case they may file a special appeal that will be considered by the STJ. Similarly, if a party thinks the decision goes directly against what is dictated by the Federal Constitution, he or she may file an extraordinary appeal that will be analysed by the STF. In both cases, no re-examination of facts or evidence is allowed. In addition, parties can file motions for clarification against any judicial decision in order to eliminate contradiction, remedy an omission or rectify a material error. What procedures exist for recognition and enforcement of foreign judgments? A decision rendered by a foreign court must be recognised by the STJ to be enforceable in Brazil, as per article 960 of the Brazilian Code of Civil Procedure and article 105, I, I of the Federal Constitution. According to the case law of the Supreme Federal Tribunal, only foreign decisions that are proven to be final and binding are capable of being recognised by Brazilian judicial authorities. Upon successful recognition of a foreign decision, the STJ will issue an order named exequatur, which serves as certification that the foreign decision fulfils all the formal requisites of Brazilian legislation, such as the observance of due process of law and equality of the parties, and does not harm Brazilian public order. With the concession of an exequatur, the foreign decision may be enforced before the Federal Courts as per article 965 of the Brazilian Code of Civil Procedure. Enforcement proceedings will be the same as those reserved for the enforcement of national court orders (see question 32). Are there any procedures for obtaining oral or documentary evidence for use in civil proceedings in other jurisdictions? International cooperation may be requested by foreign authorities to many ends, traditionally serving process, enforcing interim measures and obtaining evidence. As with many other countries, Brazil has adopted a central authority entitled to receive and distribute requests for international cooperation. Brazilian legislation provides that the rogatory letter is the default instrument for judicial requests of international cooperation. Rogatory letters shall be addressed by the foreign court to the STJ through the adequate diplomatic channels. The STJ will analyse whether the request or order contained in the letter violates national sovereignty, human dignity or public order. If not, the STJ will concede an exequatur certifying the request of the foreign court as enforceable within Brazilian jurisdiction. The rogatory letter will then be delivered to the Federal Courts for compliance. provide any other judicial or extrajudicial remedy not forbidden by Brazilian law. A request for direct assistance is not subject to analysis of the STJ and, thus, may be enforced without an exequatur. International treaties may establish other specific rules and procedures of cooperation to obtain evidence. Those treaties are introduced in the Brazilian legal framework once approved by Congress and, regarding civil proceedings, it is worth highlighting The Hague Convention on the Taking of Evidence Abroad in Civil or Commercial Matters and the Protocol on Cooperation and Jurisdictional Assistance on Civil, Commercial, Labour and Administrative Matters (Mercosul). Is the arbitration law based on the UNCITRAL Model Law? The importance of the UNCITRAL Model Law and the Spanish Arbitration Law of 1988 as source material for the drafting of the Brazilian Arbitration Act was highlighted by its authors on several occasions. Multiple provisions of the Brazilian Arbitration Act (Law No. 9,307 of 1996, later amended by Law No. 13,129 of 2015) are accurate reproductions of the Model Law. What are the formal requirements for an enforceable arbitration agreement? Under the Brazilian Arbitration Act, an arbitration agreement can be either an arbitration clause - applicable to future disputes that may arise from a contract - or a submission agreement, which may be entered to submit a particular dispute to arbitration or to rectify or complement an unclear arbitration clause once a dispute has arisen. In accordance with articles 4 and 9 of the Brazilian Arbitration Act, the arbitration agreement must be made in writing, directly inserted in the relevant contract or in a separate document with specific reference to a contract. in compliance with any specific formalities determined by law. the place where the award shall be rendered. As decided by the STJ in the judgment of SEC 856, an arbitration agreement, although in writing, does not need to be signed as long as consent can be proved by other means. If the arbitration agreement and any relevant rules are silent on the matter, how many arbitrators will be appointed and how will they be appointed? Are there restrictions on the right to challenge the appointment of an arbitrator? If both the arbitration agreement and the relevant arbitration rules lack a provision regulating the appointment of arbitrators, parties may still reach an agreement on this issue. The parties are free to determine any number of arbitrators as long as it’s an odd number. If no agreement can be reached, any party may bring the issue before a lower state court to request the specific performance of the arbitration agreement as per article 7 of the Brazilian Arbitration Act. In this scenario, in accordance with paragraph 4 of article 7, the court shall consider the stance of each party and decide on the appointment of arbitrators, having broad powers either to appoint a sole arbitrator or establish a procedure for the appointment of an arbitral tribunal. if the arbitrator has an interest in deciding the dispute in favour of any of the parties. The arbitrator must act with independence and impartiality. Any circumstance that causes justifiable doubts as to his or her independence or impartiality must be disclosed by the prospective arbitrator prior to accepting the indication or as soon as it arises if after acceptance. A party may thus challenge an arbitrator based on any circumstance that breaches the objective restrictions established in article 14 of the Arbitration Act or the subjective standard of justifiable doubts as to his or her independence or impartiality. The right to challenge an arbitrator must be exercised at the first opportunity after the challenging party has been made aware of circumstances that may constitute grounds for a challenge. In accordance with article 15 of the Arbitration Act, the challenging party must deliver its challenge to the chairman of the arbitral tribunal or to the challenged arbitrator in the case of a sole arbitrator. What are the options when choosing an arbitrator or arbitrators? The Arbitration Act does not establish particular professional requirements for an individual to act as an arbitrator. As seen above, the only requirements are the full legal capacity of the person, and an independent and impartial stance regarding the parties and the dispute submitted to arbitration. In the past few years, arbitration has been on the increase in Brazil. As a result, a pool of very capable individuals has been formed to act as arbitrators, even in the most complex disputes. Does the domestic law contain substantive requirements for the procedure to be followed? The Arbitration Act has fortunately privileged procedural flexibility and party autonomy and established, through article 21, that the arbitration shall follow the procedure established by the parties or, in the absence of specific provisions, as determined by the arbitrators. Apart from these provisions, the law establishes only a minimal framework of principles that shall guide the procedure, that is: due process of law, equal treatment of the parties, impartiality of the arbitrator and the arbitrator’s freedom of reasoning for reaching a decision. On what grounds can the court intervene during an arbitration? After arbitration has commenced the courts are not allowed to intervene, except if otherwise provided in the arbitration agreement. As an exception to this rule, the Arbitration Act provides for the possibility of reaching for the assistance of the courts in enforcing decisions. This is in line with the contemporary idea that courts and arbitrators do not have competing functions but rather complementary ones. One of the main limitations of arbitration within the Brazilian legal system is the absence of an arbitrator’s coercive powers. To preserve the effectiveness of arbitration, when issuing a decision that requires additional steps to be enforced, arbitrators are advised to instruct the interested party to seek the courts’ assistance to enforce that decision if needed. This occasional participation of the courts should not be seen as interference, particularly as they are not allowed to modify or limit the decision (except when a prima facie assessment reveals that the decision contains insurmountable formal defects or goes directly against public order). Do arbitrators have powers to grant interim relief? Yes. The power to grant interim relief is comprised within the general power of arbitrators to settle a dispute submitted to arbitration. Thus, arbitrators are deemed to have the power to grant interim relief except if otherwise limited by the arbitration agreement. Arbitrators are, however, unable to grant interim relief affecting parties that have not consented to the arbitration agreement as a consequence of the contractual nature of arbitration and the principle of privity of contracts. Notwithstanding the lack of coercive powers, arbitrators may impose sanctions on a party to incentivise spontaneous fulfilment of interim measures. They may also request assistance from the courts in case the measure requires coercion (see question 28). When and in what form must the award be delivered? Once again privileging party autonomy and procedural flexibility, the Arbitration Act provides that parties may agree on a term for the arbitral award to be issued. This might be done either expressly or by adopting the rules of an arbitral institution. If the parties have not agreed on said term, the default rule of article 23 of the Arbitration Act shall apply, meaning that the arbitral award must be delivered within six months as from the date of commencement of arbitration or, if the case may be, from the substitution of a sole arbitrator. the date and place where the award is rendered. Additionally, the arbitral award shall be signed by all arbitrators. If one or more arbitrators is unable or refuses to sign the award, the chairman of the arbitral tribunal shall certify this fact. On what grounds can an award be appealed to the court? Article 18 of the Arbitration Act clearly establishes that arbitral awards are ‘not subject to appeal or recognition by judicial court’. An arbitration agreement can override that default position providing for the possibility of appeal. Furthermore, parties may seek to vacate an award before the courts within 90 days of the receipt of the award. What procedures exist for enforcement of foreign and domestic awards? Foreign awards must be recognised by the STJ, as per question 21. Once the foreign award has been recognised by the STJ, it acquires enforceability under Brazilian law. In this scenario, the party that wishes to enforce an award, whether foreign (after recognition) or domestic, must file enforcement proceedings. Enforcement proceedings are a separate action designed specifically to satisfy the orders of an enforceable decision. Upon filing of the proceedings, the court will summon the debtor to comply with the orders of the enforced decision. If the debtor does not voluntarily comply with payment, the creditor may request measures for seizing the debtors’ assets, freezing amounts contained in bank accounts being the preferable first option. In enforcement proceedings, the debtor will have a limited number of defences available. These defences are not able to rediscuss the merits of the enforced decision but rather relate only to the enforceability of the decision itself (eg, the competence of the court where proceedings where proposed, or exceeding the amount requested). Can a successful party recover its costs? Costs are usually recoverable by the winning party following the rule by which the loser pays in proportion of its loss. A rule providing for recovery of costs will customarily be provided either in the arbitration agreement itself, in the applicable arbitration rules or in the terms of reference. Nonetheless, parties to an arbitration are free to agree otherwise regarding allocation of costs. In practice, if the parties have not agreed on different terms, the arbitrators shall have the power to award costs based on article 27 of the Arbitration Act. The scope of recoverable costs will also vary according to the arbitration agreement and requests made by the parties in arbitration. To avoid unnecessary debate, it is advisable for an express request for recovery of costs to be made. A request for recovery of costs can also be understood as implicitly contained in the parties’ broad requests for damages. 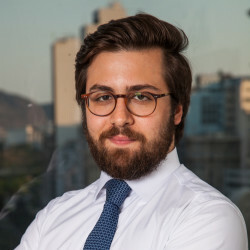 In Brazilian arbitration practice, costs usually recoverable are the arbitration institution’s fees, the fees and expenses of the arbitral tribunal as well as of any experts, and additional costs incurred in connection with the proceedings, including reasonable attorneys’ fees. Third-party funding costs are not usually accepted to hold a standing of their own as recoverable. They might be indirectly recovered if proven to be contained in the aforementioned categories of expenses. What types of ADR process are commonly used? Is a particular ADR process popular? The Brazilian judicial system is highly congested. As a consequence, financially healthier parties are often prone to seek alternative methods for dispute resolution and arbitration to avoid court litigation. Strong and steady developments have been made in recent years to increase the speed and effectiveness of the legal system. Overall, ADR processes are still quite underdeveloped in the Brazilian legal system. The growth of mediation has been perhaps the most promising development in the past few years. Modifications were made to the Brazilian Code of Civil Procedure to value mediation as a means for dispute resolution, such as the possibility of a mediation hearing before actual litigation (see question 5). Is there a requirement for the parties to litigation or arbitration to consider ADR before or during proceedings? Can the court or tribunal compel the parties to participate in an ADR process? Conciliation and mediation are a part of civil court proceedings, as mentioned in question 5. In arbitration, the arbitration agreement or the applicable institutional rules may provide for ADR processes both prior to or during the proceedings. Disrespecting multi-tier arbitration clauses is unadvisable, although mixed decisions have been given when assessing this issue under Brazilian law. Most decisions have recognised that skipping pre-arbitration steps does not deprive arbitrators from jurisdiction over a dispute (but only entitles the aggrieved party to damages), although some have understood otherwise. Are there any particularly interesting features of the dispute resolution system not addressed in any of the previous questions? 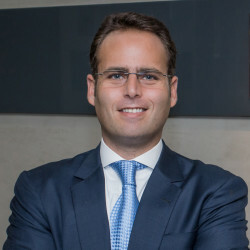 Fux Advogados is a Brazilian law firm specialized in Dispute Resolution, with departments acting on arbitration, civil litigation and tax litigation. 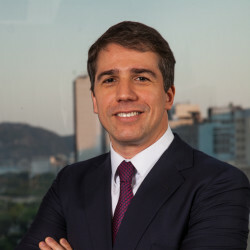 The firm is frequently appointed by specialized editorials as leading the practice of Dispute Resolution in Brazil.